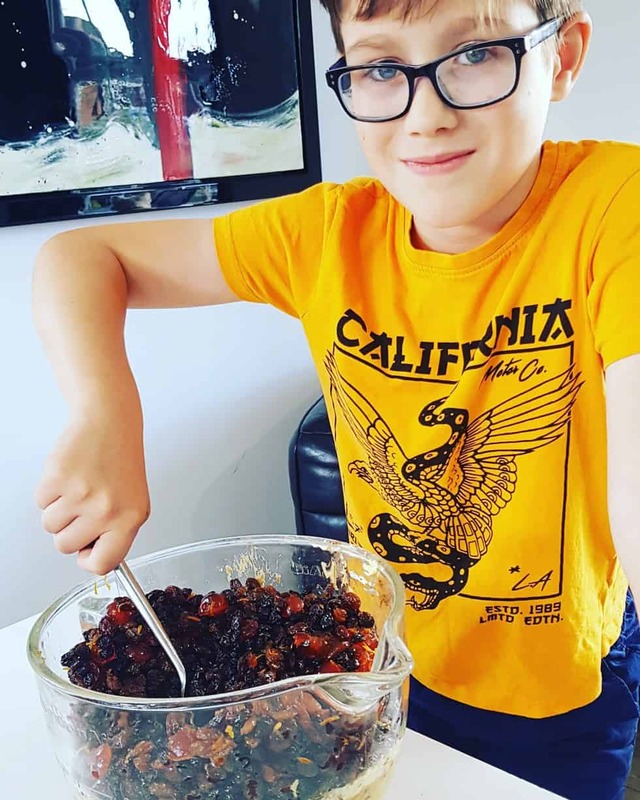 I absolutely LOVE Mary Berry and we have been making her Classic Victorian Christmas Cake from her Christmas Collection book for a couple of years now. 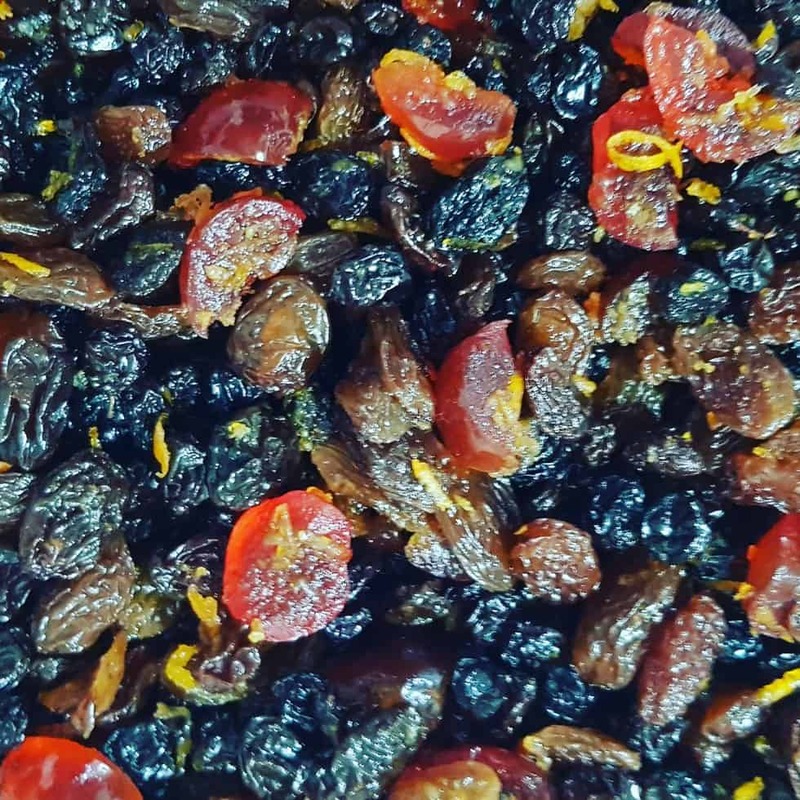 It is so super fruity and moist, it is our all time favourite Christmas Cake. So first things first, you need to soak all of the fruit. Now I had remembered this from last year, however, I completely forgot Mary wants you to soak them for 3 days. As she is the boss I thought I would follow this recipe to the letter. 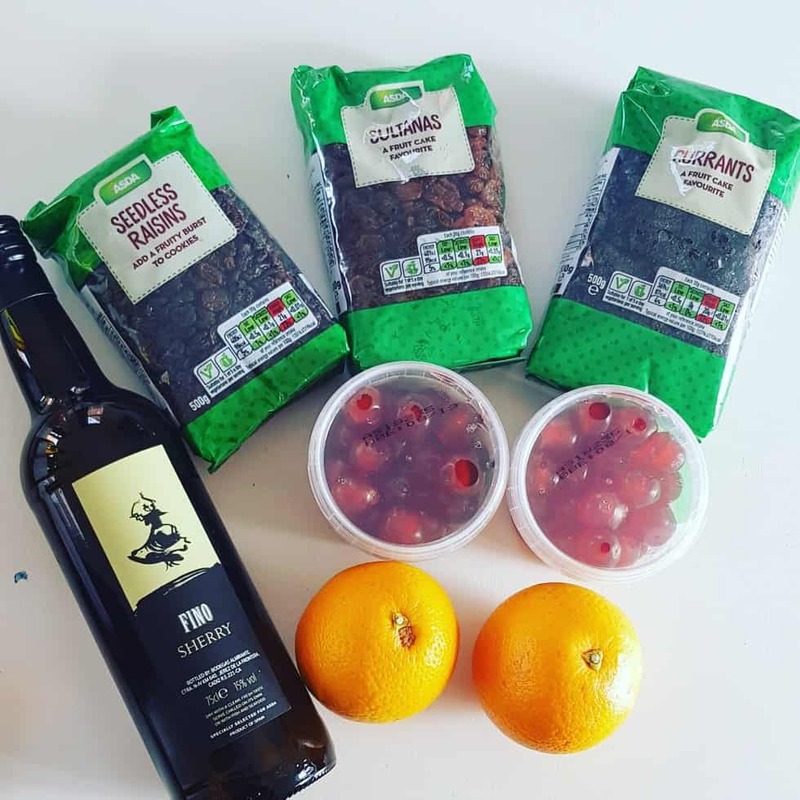 I opted for Asda’s own produce as I was trying to keep cost down, check out further down the post how much this actually costs to make. You will be amazed! 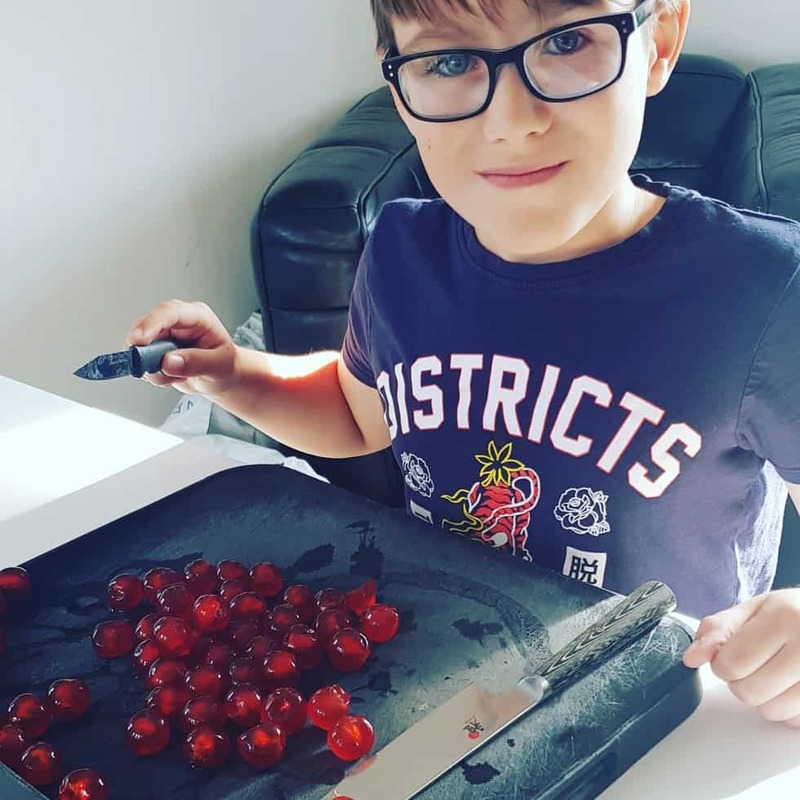 I got Freddie to make this cake as part of one of his homeschool days, so we had to quarter the cherries. After we had washed them thoroughly. He got a bit bored (there are loads!) so I obviously stepped in. Wow look at all of this fruit. I think this is the main reason we love this cake so much. There is so much fruit in it and hardly any cake! So fast forward three days. 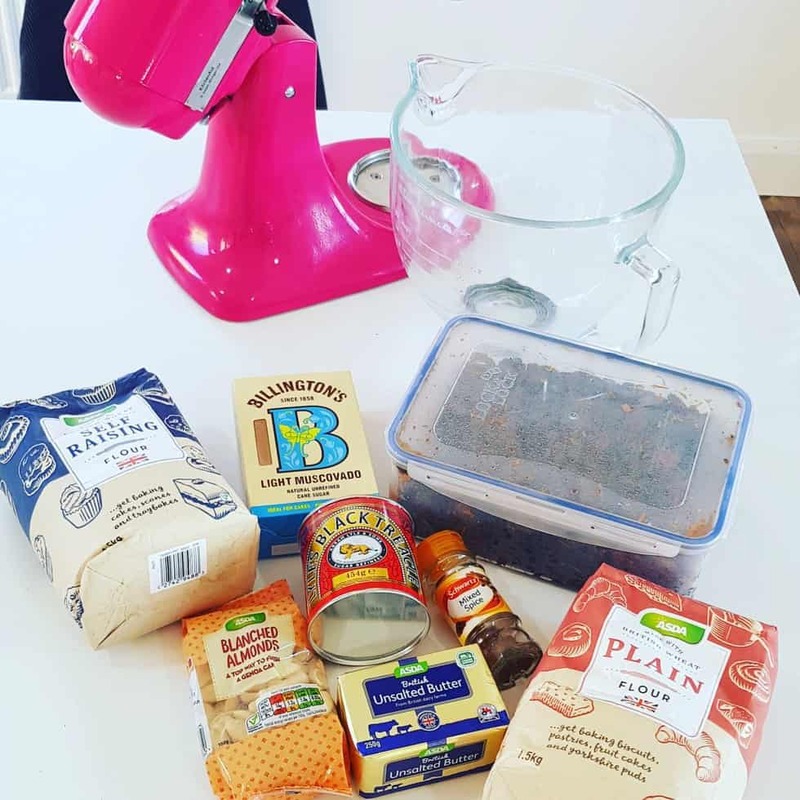 Making the Mary Berry Classic Christmas Cake. So we got all of the ingredients ready, and my best friend the kitchen aid mixer. To be honest after you have soaked the fruit for 3 days, it is actually super easy to make the cake. You pretty much just throw everything in. Actually apart from softening the butter, and chopping the blanched almonds. 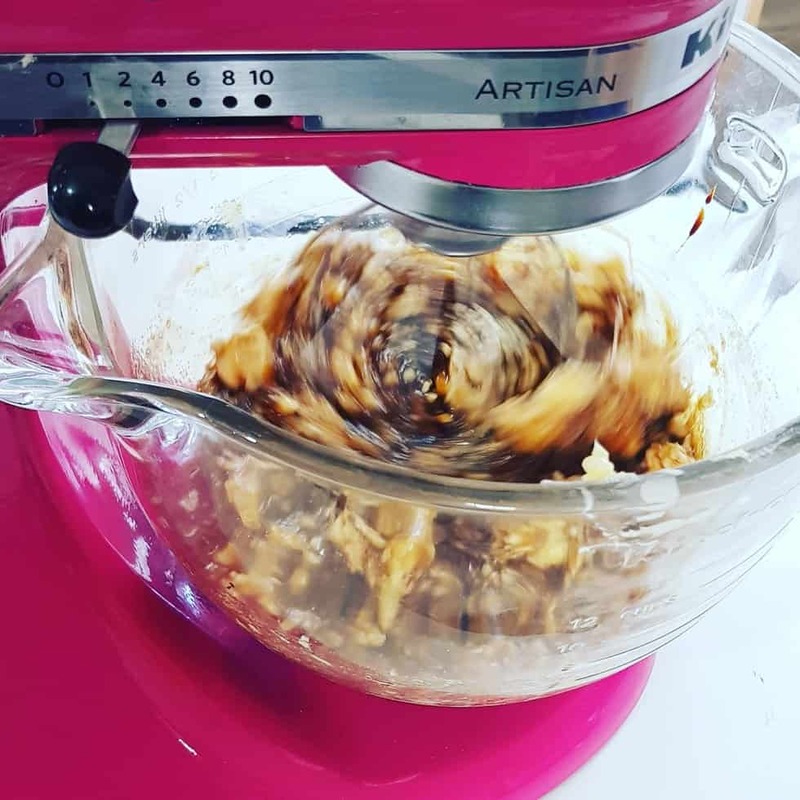 So time for the Kitchen Aid to take over and do its thing. As soon as the ingredients (except for the fruit) have been mixed together you need to add the fruit. Now I was going to ask Freddie to do this. But as you can see, there is SO much fruit it is quite tricky to mix it all in. All done. Its ready to go in the oven. As I had made this before I know that this cake doesn’t rise. 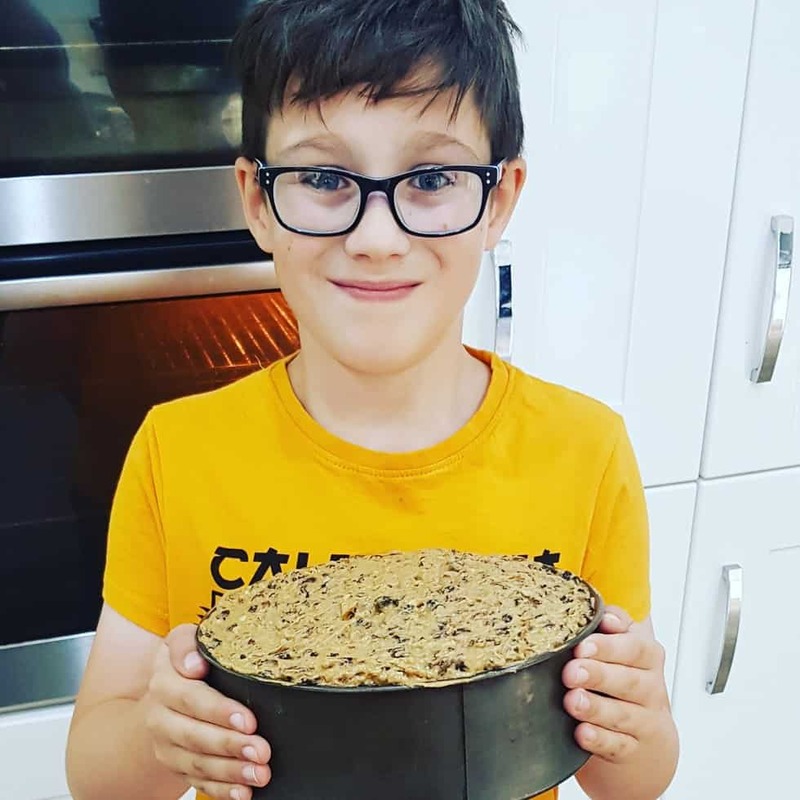 Normally I would be worried about a cake going so high up in the baking tray, but not for this Classic Christmas Cake. Now it takes about 4 and a half hours until it is ready, but it makes the kitchen smell divine! Now this won’t stop me making this in the future, however, I was absolutely stunned at the cost of making this cake! Now I know there will be some left over flour and sugar, BUT the other left over ingredients will not really be used for anything else! Especially the sherry, apparently once opened it is meant to be binned after 4 days!!! I of course will be using this all the way up to Christmas as I will need to feed the cake. With the most expensive Christmas Cake from Waitrose at only £16 I am blown away at how expensive this cake is to make. I don’t know how much the one from Aldi would be but I imagine only about £10 for the most luxurious Christmas cake! So after 4 and a half hours your Mary Berry Christmas Cake is ready! You need to leave it in the cake tin until it is cold. I’m not sure why, but I am sure there is a very good reason. 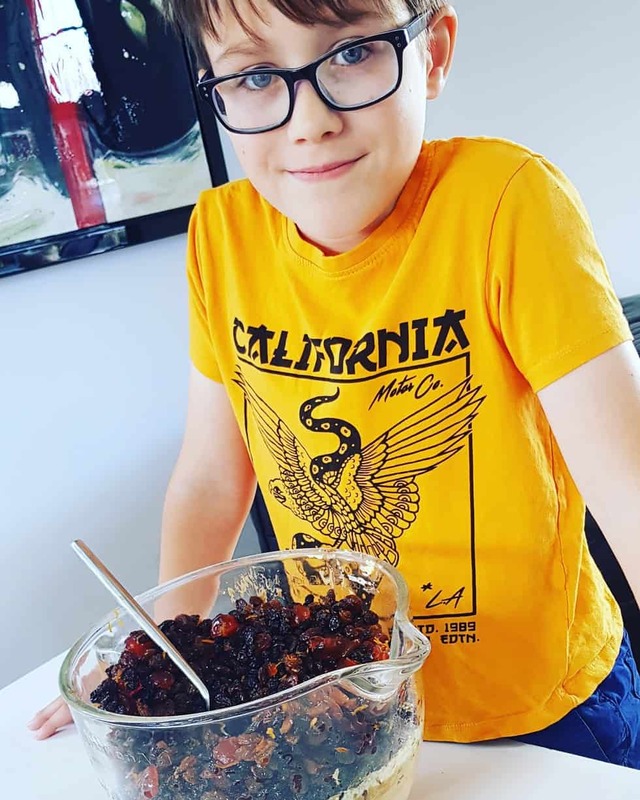 As it is only October, we always make our Christmas cake at the end of October. We will continue to feed the cake until the week before Christmas Day. At this point I will attempt to ice it! Now I would love for mine to be as amazing looking as Mary Berry’s, but it won’t!!! BUT I know it tastes amazing. 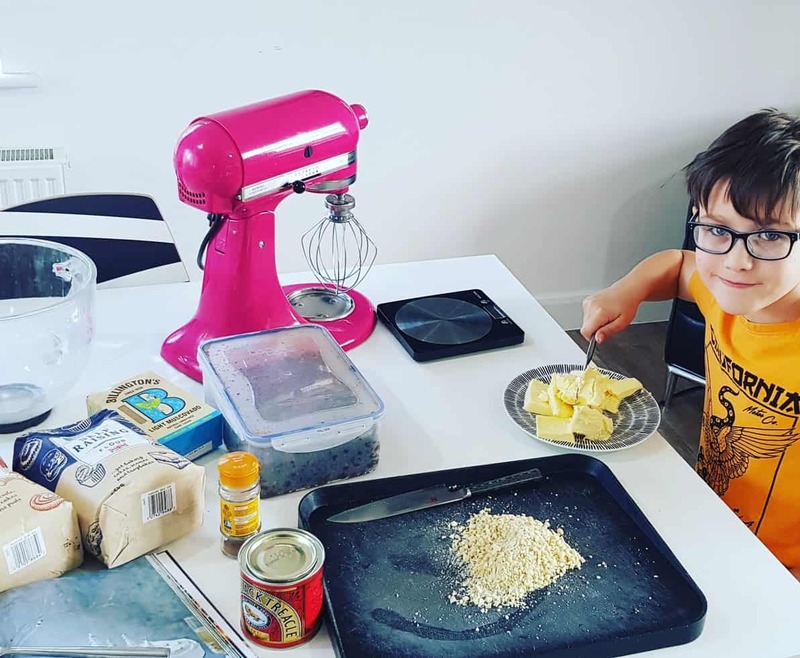 As this is the fourth time we have made this cake, we clearly love it. I have always made it with Freddie so it is a nice family tradition of ours now. However, I am truly shocked at the cost, so whether we will continue this tradition I am not sure. Freddie doesn’t eat it anyway! 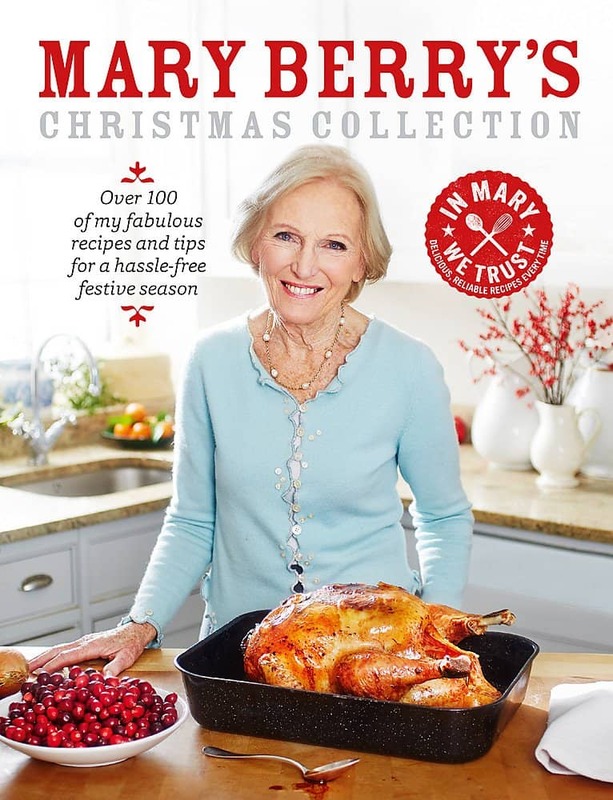 The Mary Berry Christmas Collection cookbook is absolutely amazing and definitely should be in your shopping basket!